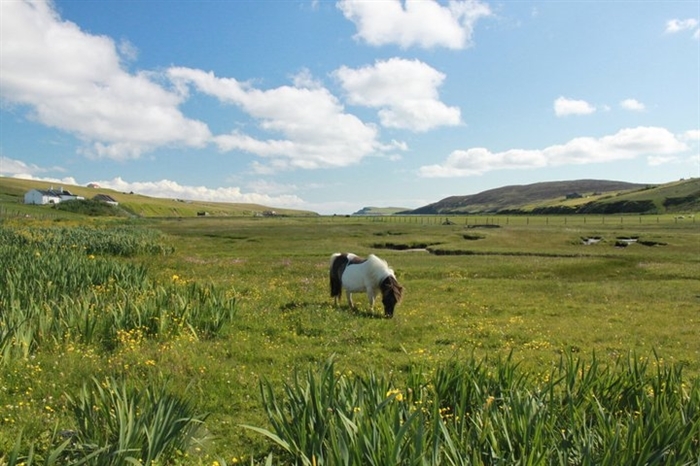 This is a Shetland cottage that has been recently refurbished and decorated and is located in a quiet rural location near to the sea with good coastal walks nearby. With 2 bedrooms, bathroom, sitting room and kitchen, The Glebe has everything you need for an enjoyable holiday. 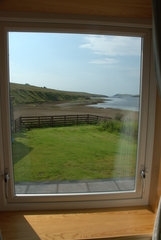 Not only does the cottage offer comfort, good quality furnishing and fittings but it also sits on the edge of a beach. 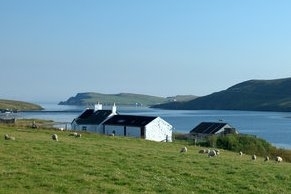 Beause of its central position the Glebe makes the perfect base from which to explore the whole of Shetland. 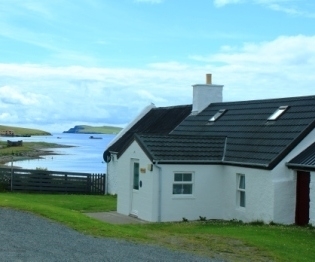 You can step out the cottage and be on the beach with its panoramic views out to sea. Otters are seen regularly on the beach & in the burn below the cottage, there is also a large variety of birds to be seen at all times of the year. With Bixter just 10 minutes drives away and Walls 15 minutes, you are in easy reach of village shops with Bixter also offering petrol pumps. 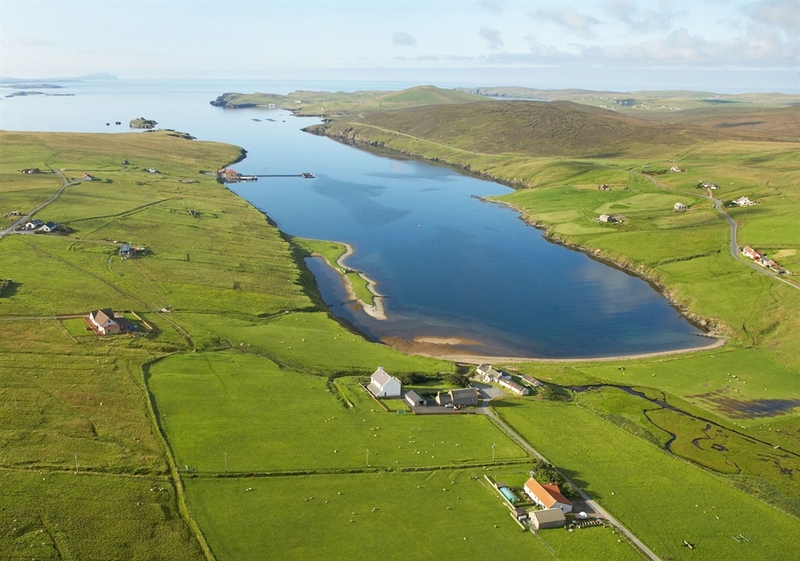 Lerwick is just 25 minutes drive East and most other areas are within easy reach, you can spend your days shopping, sightseeing, eating out or just relaxing with a short drive back to the cottage. Ideal holiday home for those who like relaxation but with interesting things to do and see at your fingertips!